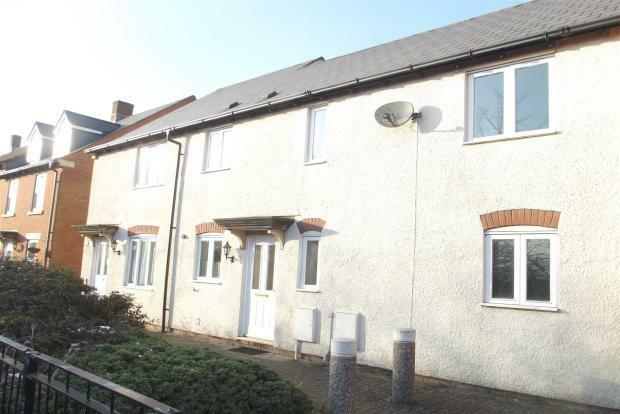 2 Bedroom End of Terrace House To Rent in Weston-super-Mare for £725 per Calendar Month. This two bedroom house is located in the popular Weston village. With schools, shops and parks a short walk away and the M5 motorway and supermarkets a short drive away. The property comprises of a spacious lounge which benefits from a fireplace with modern surround and an under stairs cupboard perfect for storing your shoes and coats, ironing board and hoover. Through to the kitchen which is large enough for a dining table and has space for a washing machine and fridge/freezer. There is a small walk way through to the downstairs cloakroom and a patio door to the enclosed rear garden. Upstairs you will find two bedrooms. The master is a double and the second bedroom is a good size single. The family bathroom has a white suite WC, basin and bath with shower over. Outside you will find the rear garden which is mostly laid to lawn and there is a garden gate which leads to the garage and three parking spaces! Avoid disappointment, call today to book your viewing!